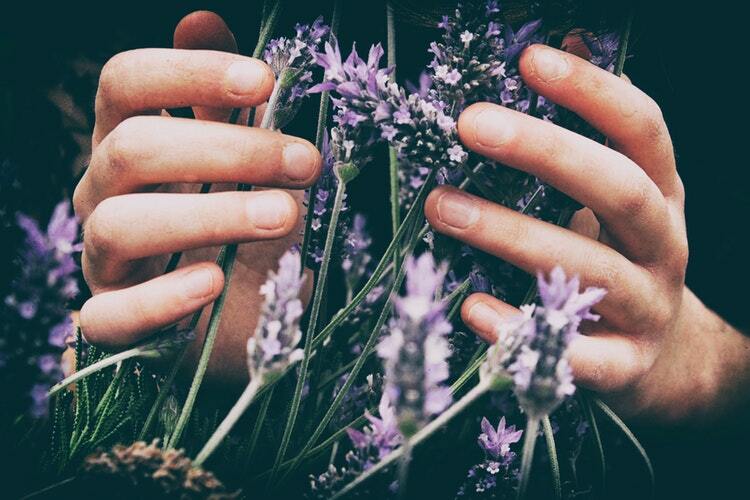 One of the most popular scents for soaps, perfumes, skin care, and hair care is lavender. Lavender oil is simultaneously relaxing and refreshing with a nice, light, floral aroma. In fact, within the area of aromatherapy, the most easily identified scent is lavender. 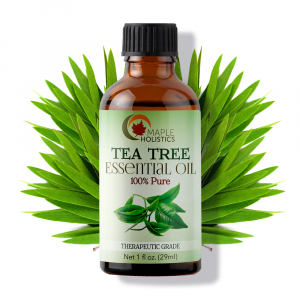 It’s known to have specific properties that cause a soothing and calming effect. Lavender can help reduce anxiety or even be used to promote a restful night’s sleep. While research has indicated that the scent of lavender lowers blood pressure and heart rate, the properties of lavender essential oil are many and varied. In addition to its mood-boosting and calming properties, lavender essential oil can be used as a beauty and skin care aid. Lavender oil is high in antioxidants and vitamins A and E. Vitamin A, also known as retinol, prevents signs of aging by protecting skin from damaging free-radicals. It also helps with cell regeneration, resulting in baby-soft skin over time. Another vitamin which helps prevent sun damage is vitamin E, also found within lavender essential oil. Furthermore, vitamin E serves as a skin emollient, which means that it keeps the skin hydrated and moisturized in a natural way. It calms itchy skin and functions as a natural anti-inflammatory to help reduce redness, swelling, and dryness of the skin. Lavender oil can help repair damaged hair. Keeping lavender oil in your medicine cabinet. It can come in handy. It’s an effective antifungal and antiseptic treatment. Antifungals are used to treat athlete’s foot, among other conditions, while antiseptics are used to reduce the chances of infection. When applied to a minor wound, lavender oil can help contract the wound and speed up tissue repair. You can add lavender oil to vitamin E cream or coconut oil, to reap the maximum benefits. Of course, you should always consult with your healthcare professional before beginning to use essential oils or other over-the-counter type treatments. If wind, sun, or excessive heat styling has damaged your hair, lavender oil can help repair this damage. Vitamins A, B, C, and E and minerals promote clean and healthy hair. Citrus ingredients found in lavender oil can aid in restoring hair’s natural shine and can be easily absorbed for silkier hair. It improves blood circulation to the scalp, helping promote hair growth and reduce hair loss. Lavender not only prevents hair shedding, but it also prevents lice. It’s good for all varieties of natural hair types, but has extra advantages when it comes to dry or coarse hair. 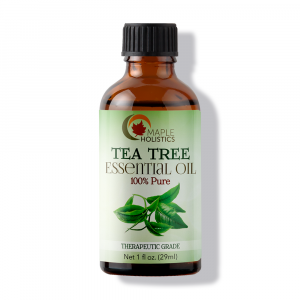 Many of the more common hair problems are easily treatable with this oil. For instance, if you are prone to dandruff, massaging your scalp with lavender oil and letting it sit for a few minutes before shampooing it out can really help ease the problem, leaving your hair healthier and more vibrant. Since lavender essential oil has anti-inflammatory and analgesic properties, it’s highly effective as a pain reliever. It works best for mild to moderate pain. The oil can treat osteoarthritis pain as well as neck and back pain. It can also be effective in keeping menstrual pain and cramps at bay. Lavender oil is more effective as a massage oil when mixed with coconut or jojoba oil. The oil can also be helpful in treating migraines. You can find relief by inhaling the essential oil or rubbing it on pressure points. You can even combine it with peppermint oil to add a cooling effect. Never apply essential oil directly to your skin. You should dilute it with base oil or cream. Lavender oil is so great because it’s very gentle but at the same time very potent. It has the capability to remove toxins because of its antibacterial properties. It can go far in preventing and even healing acne breakouts. Putting this oil on your face won’t make your skin oilier. It may help improve your skin’s oil production. Lavender oil can also protect your skin from free radicals that may cause damage like fine lines and wrinkles. Lavender oil may also be able to provide benefits to skin with eczema or psoriasis. It has soothing and healing properties which means it can help relieve the irritation and itch of psoriasis and eczema. The oil can also help relieve the burning and swelling caused by a sunburn. You can even add lavender oil to your bath to reduce inflammation all over your skin. To test the effects of lavender oil on blood sugar levels, a 15-day animal study was conducted in 2014. These scientists wanted to know if lavender can prevent or reverse the symptoms of diabetes. The study was able to show that lavender oil protected the body from a bunch of diabetes symptoms. It helped balance high blood sugar levels as well as protect the body from oxidative stress. Even though the results were promising, a lot more research needs to be done. If you would like to use lavender oil for diabetes, you should apply it to your neck and chest. You can also diffuse it or take a lavender oil supplement. Diffusing it will help relieve the stress that comes with have diabetes or any other disease. You should use the oil cautiously and in small amounts to test it. Essential oils have side effects/ They can burn mucous membranes in your GI tract or they can interact badly with medications. Some essential oils can bring out the sedative properties of your prescriptions and others can act as diuretics. All of this can have dangerous effects on your blood pressure. Before you use anything, do your research. 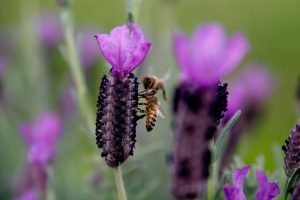 Did you know that lavender is actually a member of the mint family (scientifically known as the Lamiaceae family)? It’s not the only family member from which essential oils are derived, either. Peppermint essential oil is another well-known and commonly used oil. 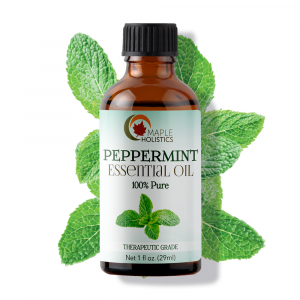 Peppermint is a hybrid between spearmint and watermint and is used to treat various issues, including irritable bowel syndrome (IBS) in the short-term, nerve and muscle pain, and respiratory tract problems. Other essential oils, which can be used individually or mixed together with lavender oil, include jojoba, evening primrose, argan, and lemongrass. Jojoba oil is one of the more nourishing oils that you can use. It’s also effective at removing buildup such as dirt and dead skin cells from the pores, leaving skin with a radiant and vibrant appearance. You can apply it to your hair and either rinse it out or keep in as an effective leave-in conditioner. Evening primrose oil can be used to moisturize skin and improve conditions such as eczema and psoriasis. It eases inflammation and itching, as well as dry patches, to improve the look and feel of skin. It also balances hormones. Argan oil has often been touted for its abilities to tame frizzy and unruly hair, delivering moisture right where it’s needed. Argan also treats acne and skin blemishes. Lemongrass oil is a natural moisture retainer, ensuring that skin gets — and stays — hydrated. Applying it after showering, or really anytime, leaves the skin feeling luxuriously soft and smooth. Life can be so stressful at times. 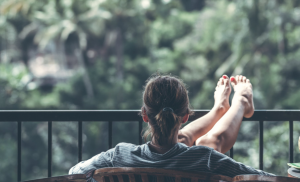 Between families, friends, work, and other responsibilities, there are some days where we just need to take time for ourselves and unwind. So what are you waiting for? Run some warm water in the tub, grab a good book or a glass of your favorite wine (or even both! ), and add a few drops of lavender essential oil to your bath. A relaxed mental state is vital to leading a serene and peaceful life, and sometimes, a nice hot bath and some time to unwind is exactly what the doctor ordered. You’ll feel like a brand new person afterward. 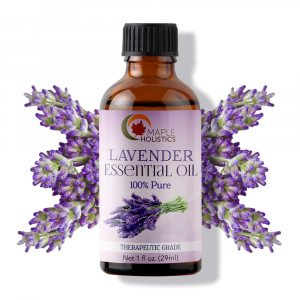 The best way to follow up your bath, naturally, is with a great lavender oil-infused massage. Lavender makes a great massage oil for a number of reasons; namely, its natural moisturizing properties and it’s light viscosity which ensures that pores won’t feel clogged. Lavender oil is non-greasy as well, meaning you will feel hydrated and smooth, but never sticky. Combine it with your other favorite essential oils for the ultimate de-stressing experience. Lavender essential oil is high up on the list of best essential oils. That’s because of all it can do. When properly diluted, it’s actually one of the safest essential oils. It’s even considered safe for children. It’s perfect for their minor cuts and scrapes because of its antibacterial properties. The oil is used in perfumes and smells great. If you’re only used to stong synthetic smells, you may not understand the appeal of lavender oil at first but you’ll eventually learn to love it. Both men and women appreciate the calming scent of lavender essential, which is why you should definitely give it a try.